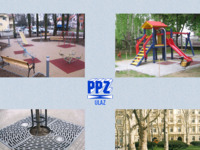 PVC and PP pipes and fittings for house and street sewage systems, PVC and HDPE water pipes, PVC and HDPE pipes and equipment for cable protection, PVC drainage pipes and fittings, PVC and PP flour drainage systems for waste and rain water, PE folien. Privately owned company specialised in making fireplaces, barbecues and baker's ovens. Opravdana potreba da se objedini logički nerazdvojive stvari, koje su jedna s drugom u uzajamno posljedičnim vezama. 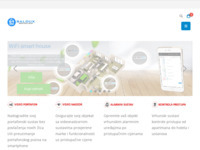 Nekretnina bez arhitekture, arhitektura bez graditeljstva, graditeljstvo bez unutarnjeg i vanjskog uređenja i opremanja ne mogu biti samostalne cjeline jer su u jako uskoj vezi. Sve to ovisi o tehnologiji, strojevima, materijalima, poslovnim subjektima i ljudima koji sudjeluju u cjelokupnom procesu izgradnje i opremanja. 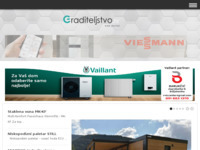 Stoga www.gradimo.hr je nastao kao proizvod ideje, da se sve djelatnosti povežu na jednom mjestu, gdje bi mogle što bolje uzajamno komunicirati i izmjenjivati ideje i iskustva te prezentirati svoje proizvode i usluge. 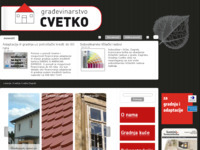 Building portal - webgradnja.hr - all for projecting, building, and decorating. 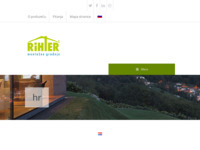 All Rihter houses are unique and custom-made according to your desires.The guiding principle of our offer is quality at a competitive price. 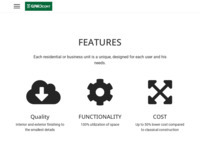 We adapt to the needs of our customers and realize our products entirely in a way that suits their special demands. 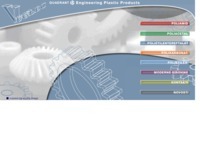 Leading firm for distribution of thermoplast. 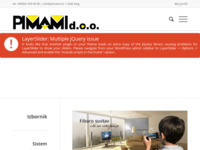 MARDEX max is a company that sells building materials. Company is located at T. Miškulin 14, Varaždin. The main activity is wholesale of tools, electric materials and supplies, equipment and spare parts for industry. 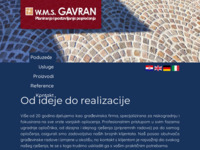 The company performs commercial mediation in domestic and international markets. 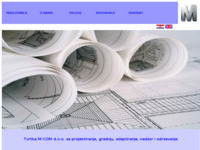 Group of designers, architects and project managers from Dubrovnik specialized for designing and supervising of reconstructions and constructions. Also we provide design and realize all kinds of interiors such as hotels residential and office buildings.  We are Public Limited Company for construction, manufacture of equipment and erection of power and industrial plants. Prodaja opreme za grijanje, klimatizaciju i sanitarije. 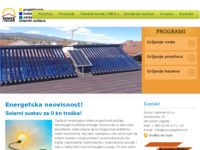 Posjetite naše stranice i uvjerite se u kvalitetan izbor vrhunske opreme za sisteme radijatorskog, podnog i solarnog grijanja. Executing finishing building and installation works on new objects to repairs, adaptations and maintenance works on exiting objects, no matter what type and purpose they were. High standard work is applied through efficient, high-quality and complete service in each project. We also offer new and innovative products followed by control and reduction of customer's costs in execution of all works. Company Magic-Mont d.o.o. 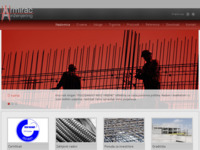 offers you the quality in the development of steel structures and other objects made ​​of metal. We create assembly halls. 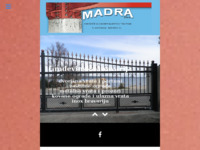 We also offer other services, metalwork, stainless steel and wrought iron fences. 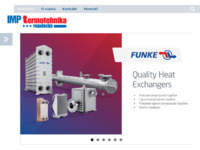 Imp termotehnika regulacije autorized distributor for Danfoss, Clorius and Rendamax. We are here to satisfy your wishes for the temperature and pressure regulations in the house installations, energy plants, industry works and ship building. 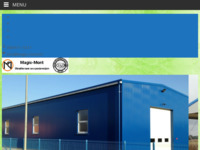 Offers metal and steel constructions, metal doors and windows, fence and other metal structure products. Research & development activities in the following scientific disciplines of civil engineering: geotechnics, construction materials, water engineering, load-bearing structures, construction management, transportation and structural mechanics. Moisture drying machines, machines for drying moisture ProLuft - All the equipment for draining moisture from buildings after construction, reconstruction or flood. The magazine will be interesting to all those who deal with construction or equipment, either professionally or on a D-I-Y basis. 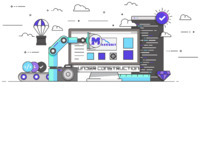 As planners, contractors or investors you will find in it all news regarding construction, materials, equipment, machines, regulations, technical literature. 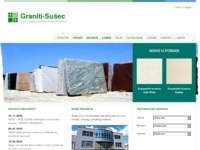 This is catalogue of stone, marble and granite samples. EMA Ltd is a company with over 30 years of experience in solving microclimatic problems in apartments, offices, museums, depos, swimming pools, restaurants, industrial plants, etc. EMA is for many years representative of several world famous manufacturer of devices for air humidification, dehumidification, ionization, purification, and adiabatic air cooling. 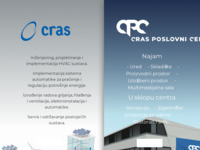 We have numerous references in Croatia and in the region. Als d.o.o. 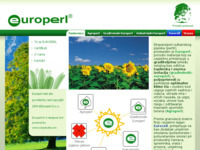 is a company established in 2004 in Hlapicina. We deal with insulation of pipes and boilers, installation of sheet metal facade with sandwich panels and installation of ventilation systems. 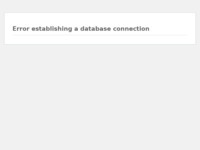 Mainly we work in the area of the European Union. 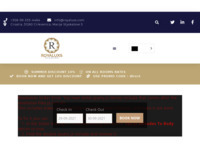 We have gained reputation thanks to experience and high quality of our work made in optimal deadline. 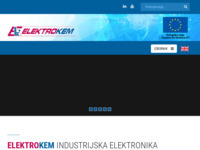 Elektrokem is privately owned company with 110 employees, established in 1990 with head office in Zagreb, Croatia. 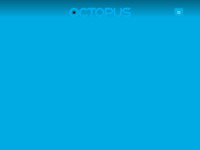 The company is specialized in production and development of custom made industrial electronic equipment. Our know – how, together with skilled and experienced workers make base for the production and development of over one hundred of different products currently on the market in Croatia. 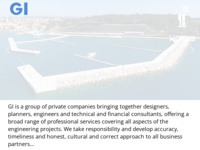 Founded in 1947, the Coning Group is one of Croatia's leaders in the field of consulting, design, engineering and ecology. Twenty years ago, the Coning Group expands its range of successful services to include tourism. If you are looking for a prefabricated building, prefabricated garages and garage doors which are characterized by modern and beautiful appearance while offering a sense of elegance and strength and high technological creation and low price, then you are at the right place! 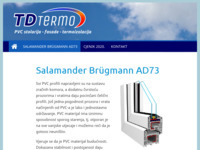 Vodotehnika is representing Teuco of Italy and Culligan of Canada in Croatia. We also build pools, water treatment plants, sewer systems and gas lines. 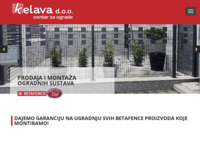 Kelava d.o.o. je tvrtka koja se bavi prodajom i ugradnjom ogradnih sustava Betafence. 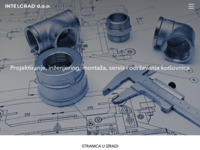 U našem prodajno-izložbenom centru imamo veliki izbor industrijskih ograda, ograda za škole, dječja i sportska igrališta, mobilne ograde za gradilišta, ograde za okućnice..
A leading manufacturer of building materials world-wide, including plasterboards, plasters, insulation materials and external renders. 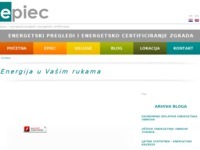 News and regulations regarding occupational health and safety in Croatia. 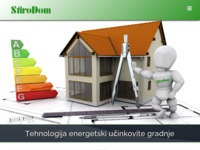 ELKON (elkon.hr) performes survey services, energy certification, engineering design as well as providing thermographic imaging services and worksite safety coordination. Raspored masa d.o.o. 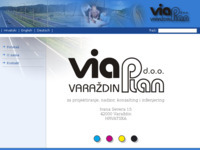 pruža usluge projektiranja, nadzora, savjetovanja vezanih za gradnju novih ili rekonstrukciju postojećih građevina. Obrt s tridesetogodišnjim iskustvom i tradicijom u izvođenju svih vrsta građevinskih i završnih radova. Radove izvodimo pojedinačno ili kompletno posistemu ključ u ruke. Od temelja do useljenja, zajedno s uigranom ekipom dugogodišnjih suradnika. 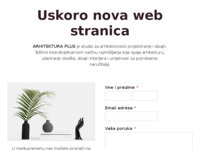 Studio za ambijentiranje d.o.o pruža profesionalne usluge savjetovanja, projektiranja i opremanja vezano za uređenje Vašeg interijera kvalitetnim materijalima, originalnim dekorom i funkcionalnim namještajem renomiranih svjetskih proizvođača. Burza ponude i potražnje poslova u graditeljstvu i srodnim djelatnostima. 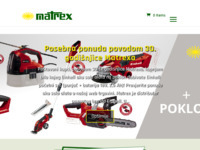 Promocija majstora, izvođača, obrtnika, prikaz tehnologije građenja. 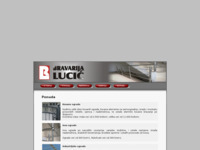 The company whose main activity is the performance of design and professional supervision in construction. 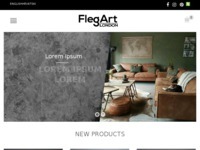 Web site for building and remodelling your home. 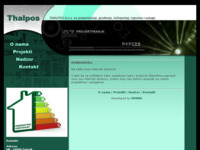 News on energy efficiency, green technologies, energy performance certificates and energy saving tips and tricks. Poduzeće MADRA d.o.o. osnovano je 1992. godine, a bavi se izradom građevinske bravarije, kao i raznih konstrukcija te predmeta od metala. 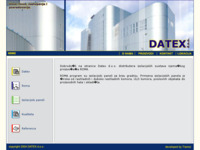 Software specialized for construction building. 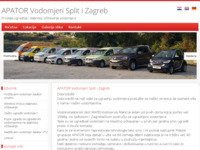 Butumović automatizacija (short: Baut) was established in Davor, Croatia in April 2018. We are an small, but very ambitious Company specialized for Automation systems, Electrical Engineering, Commissioning of various machines, lines, process parts etc. 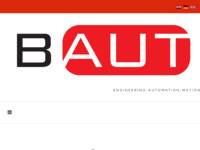 With more then five years of experience in Industrial automation, Baut offers accessibility and quality services in the Automation industry. We also offering design and making of Electrical cabinets and deliver them to the desired address, as well as Commissioning (both hardware and software). Međimurski graditelji sa dugom tradicijom u graditeljstvu. A company engaged in activities in the field of installation, commissioning, maintenance and servicing of air conditioning and ventilation systems, heating and cooling systems, solar power systems and in all kinds of plumbing, electro-installation and gas-installation works. From concept through construction to the finishing touches of each of your projects, you can rely on our team to deliver a personal environment tailored specifically for you. By interpreting an individual client’s style and needs, our licensed designers can successfully incorporate function while following current fashion trends. 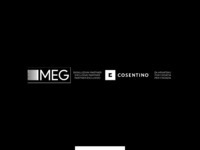 We are the general distributor of COSENTINO Group for Croatia and their brands: Silestone® - DEKTON® - SENSA® - NATURAL STONE® If you need raw material or finished product, you are in the right place. Contact us with confidence. 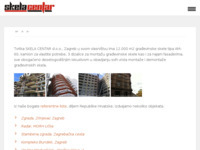 Construction of business and residential buildings in Bjelovar. 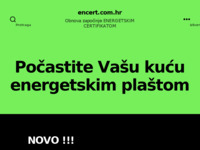 Nova-lux firm is one of the most important firms for designing and planning exterior and interior lighten in Slavonija (Croatia).We offer also a many other electrician services. 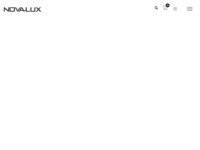 Beside that, firm Nova-lux is one of leading Croatian firms in exterior decorative lightning of churches, hotels and modern structures, buildings and statues. 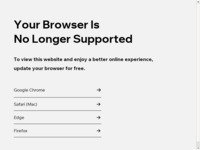 Bezico d.o.o. 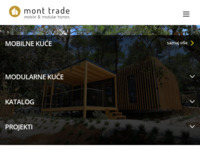 offers services in construction, tourism, marketing and trade. Društvo DOMUS AUREA iz Zadra osnovano je 2004. godine, te je s osnovnom namjerom i djelatnošću u službi unapređenja stanovanja i opremanja stambenih i poslovnih prostora. 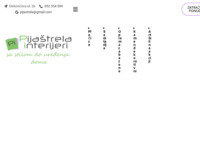 The company Energootok d.o.o. 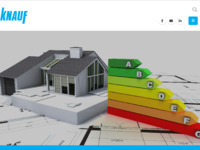 is authorized to perform energy audits and energy certification of buildings by the Ministry of Energy and issuing certificates for all buildings. 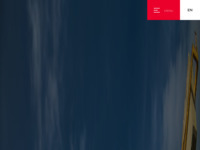 We provide construction expertise, we make cost estimates incurred losses, bills of investment and construction expertise, findings and opinions for the purpose of evidence in court or for personal purposes. Certified planners made ​​all necessary project and other documentation for the construction in accordance with laws and regulations, international standards and requirements and professional standards. 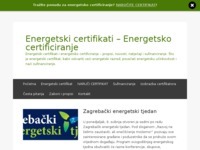 EPIEC is here for you if you want to get your energy certificate for your building, house, office space or apartment. 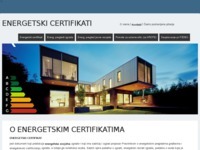 The energy certificate is required for all existing buildings that are sold, rented or leased, and shall be available for inspection to the buyer or lessee. 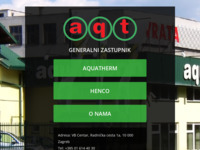 Mr. Mirko Višić, owner of the craft, the owner of the business and a permanent court expert in plumbing, is in the early nineties into the world of entrepreneurship. He founded a craft that operates in the field of plumbing, or the area in which he holds so far work knowledge and experience. From then until now by adopting new technologies, continuous learning and improvement to the owners and employees, turnover continues to grow in the market. 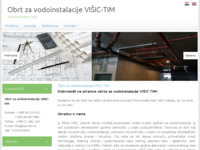 After more than twenty years of work and independent work in this area with Mirko and crafts for plumbing VIŠIĆ TIM binds to a large number of extremely high-quality references that you can see on our website. Poduzeće za graditeljstvo, arhitekturu i istraživanje tržišta. Jobs which they perform the public water supply, public drainage, construction and maintenance of of connections for public supply and public sewage systems, water meter servicing, testing drinking water for their own needs, testing the quality of waste water for their own needs.  The company is engaged in the design and supervision in the construction of high buildings and engineering in the field of architecture, design and high engineering design of infrastructure. Duh kanadske gradnje stambenih objekata. Zelena gradnja najnoviji sistem građenja pomoću LGS čelične konstrukcije za Eko kuće kojima se ostvaruje velika Energetska učinkovitost. Zelena kuća Vaša pametna kuća i Zelena zona. Zidogradnja d.o.o. 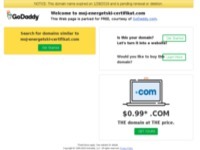 was founded in 1990. It is a family legacy for four generations. In our work we use the latest building technologies and modern materials, so we can achieve high quality demands. 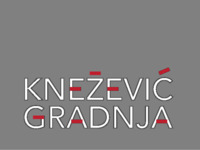 Zidogradnja received several acknowledgements for outstanding work. 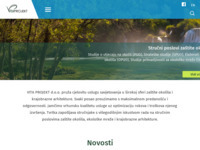 nadzor, projektiranje, ispitivanje instalacija proizvodnih procesa, vatrodojavnih sustava, sustava za gašenja požara, trafo stanica, energana, vjetroelektrana, fotonaponskih sustava, projektiranje komunalne infrastrukture, gospodarenje vodama, energetsko certificiranje, poslove i projekte iz područja zaštite na radu - ZNR i zaštite od požara – ZOP uključujući izradu revizija projektne dokumentacije iz područja ZOP. 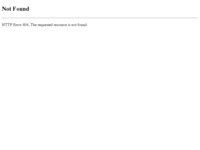 Sve potrebne informacije o legalizaciji bespravno sagrađenih objekata, zatražite ponudu. 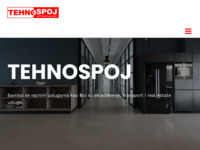 Također, bavimo se i projektiranjem te nadzorom novih poslovnih, javnih, stambenih i školskih građevina, industrijskih pogona, te projektiranjem i nadzorom na adaptacijama i sanacijama. Ovdje ćete doznati više o svemu čime se bavimo i provjeriti s kojim smo sve klijentima ranije surađivali. 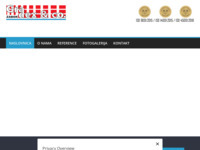 Iza nas je veliko iskustvo i cijeli niz završenih projekata. Manufacture and distribution lightweight aerated concrete block. 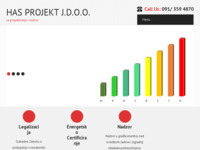 Poduzeće za projektiranje i graditeljstvo koje nudi cijeli niz usluga projektiranja, gradnje i nadzora projekta, bez obzira na tip ili složenost projekta. Design and interior design of apartments and commercial space. We offer waterproofing solutions, we provide advice on how to solve problems quickly and efficiently. 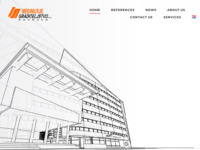 We help builders, architects, designers and supervising engineers. For Building Material Traders, we increase revenue by opening new markets and helping create demand for waterproofing products. WE ARE WATERPROOF - WE ARE DRACO! DomusPlus is company that focuses of design and making of prefabricated houses as more economical and ecological way of living. 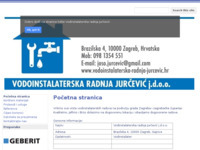 Business Pages Plumbing action Jurcevic j.d.o.o. 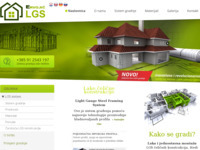 We perform all types of plumbing in the City of Zagreb and Zagreb County. 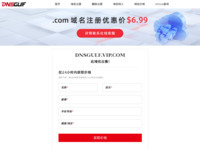 Numerous references, satisfied users, diversity of supply and quality and fast execution of the agreed work are characteristics that give us a competitive advantage. Production of aggregates of sedimentary and igneous rocks and concrete, and sales of various construction materials. Leading distributer of traffic calming products, markers and traffic signs. 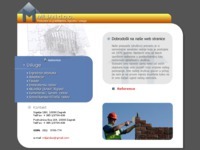 Company for design and supervision of construction. 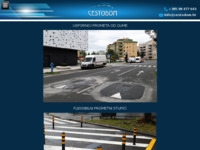 Projects of of roads infrastructure, reconstruction and traffic studies. Our company's activity is construction of central heating at oil or gas in all kinds of objects. Intermegrad d.o.o. 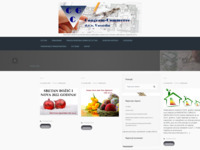 - Company for building and commerce. Izgradnja i prodaja ekskluzivnih stanova. Gradimo po najnovijim svjetskim trendovima, gdje nam je pritom iznimno važno da na račun estetike ne žrtvujemo funkcionalnost i obrnuto. 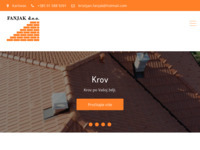 Construction works firm from Slavnoski Brod, Croatia. 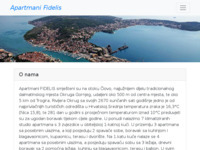 Izgradnja i prodaja turističkih apartmana i dvojnih objekata u Malinskoj (otok Krk). Individualna izgradnja po sistemu 'ključ u ruke', rekonstrukcije i adaptacije. Ishodovanje zemljišne, komunalne i građevinske dokumentacije za sve tipove objekata. 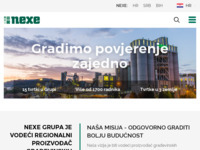 Gradimo montžne kuče, poljoprivredne građevine, poslovne i industrijske objekte i armirano betonske spremnike. 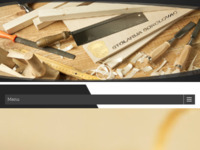 Stirodom the general importer and distributor of the renowned brand Pontarolo Engineering SpA, technology, materials and devices of low energy and passive construction, and energy-efficient construction. 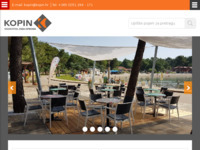 During the whole its history company "Kamen" from Pazin (Istria, Croatia) has dealt with quarrying, fabrication and installation of architectural and building stone. Raspolažemo najmodernijom tehnologijom (Doka otplate, kranovi, ...), opremom i stručnim kadrom tako da smo u mogućnosti sa sigurnošću konkurirati za svaki objekt visokogradnje, te ga sagraditi kvalitetno i u ugovorenom roku. 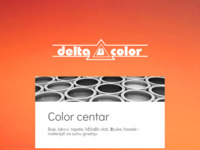 Everything for facades, house, apartment: colors, mases, heat sistems, tools and etc. Production, delivery and assembly: sectional garage doors, industrial doors, metal fences and sliding vane same automation, access control barriers, bollards for parking spaces. 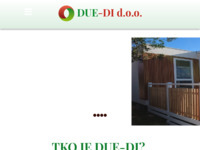 Poduzeće AQT d.o.o. 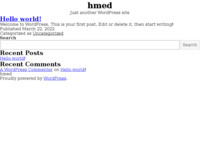 je osnovano 1999. godine. Od početka našeg djelovanja, generalni smo zastupnici za Hrvatsku njemačke tvrtke Aquatherm, jedne od vodećih svjetskih tvrtki u području proizvodnje plastičnih cjevovoda. Our electrical heating system is a blend of cutting edge design and innovative technology. It is characterized by outstanding energy efficiency and savings. MASTER engineering is a company that provides services for the energy certification and energy audit of all types of buildings. We offer consulting and development projects under the applicable law on the legalization of buildings. 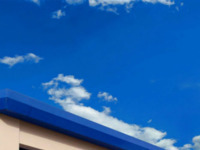 As a company with a certified court expert, we also estimate the value of the property. The GRADCONTainer company was founded in 2014 with the aim to provide new ways of living and business by converting shipping containers. 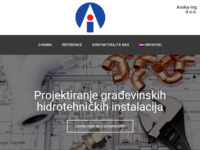 Since 1994, we have been designing gas pipelines, gas installations, central heating systems, water supply pipelines, drainage systems and legalization. We are also supervision authority over gas pipeline construction, water supply pipelines, sewage systems, new roads construction and old roads reconstruction. 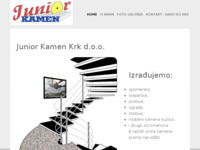 Kajzergrad d.o.o. 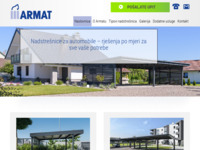 is a small construction company from Zagreb with 12 years of experience in construction, reconstruction and mainteinance of small and medium size objects, final construction works and installation projects. Datex d.o.o. je distributer izolacijskih sustava njemačkog proizvođača Roma. 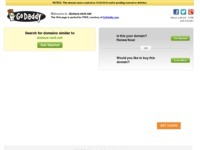 The company TD-Termo ul o.o. was built on many years of experience in working in sales and installation of PVC doors and windows and facade insulation systems. 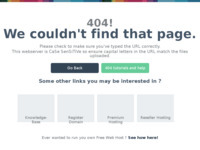 Company has been founded in 2015 and it is recording a constant growth. 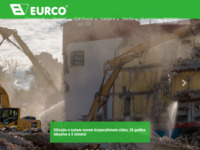 EURCO Inc. is private owned company for construction, engineering and environment protection, based in city of Vinkovci, Croatia and specialized for: demolition of industrial constructions, recycling of debris from demolition, rehabilitation of waste landfills and construction of new landfill facilities, industrial environment protection projects (soil rehabilitation and water treatment). VITA PROJEKT Ltd. is a company licensed for EIA, SEA and Natura2000 consulting services and landscape architecture design. Our employees are experts with more than ten years of experience in environment and landscape projects which include: - Development of Environmental impact assessment (EIA), Strategic environmental impact assessment (SEA), and Natura2000 studies and plans for more than 50 projects including airports, sea ports, gas pipelines, thermal power plants, windfarms, hydroelectric power plants, irrigation and drainage systems, water regulation and protection structures, animal farms, golf courses... - Development of more than 50 conceptual, main and implementation landscape designs of various complexity which include highways, waste management centers, flooded areas, rain gardens, camps, educational trails, sacral objects, urban parks, shopping malls... - Development of more than 30 waste management plans and studies, development plans, air protection action plans... The service we provide is ensuring sustainability. We offer superior EIA, SEA, Natura2000 and Waste management consulting services and advanced Landcape designs. We also offer smart engineering solutions to optimize all types of projects and consequently increase their efficiency, reduce costs, mitigate environmental impacts and save your valuable time. Brzo, efikasno i kvalitetno obavljamo legalizacije svih vrsta objekata uz vrlo pristupačne cijene na području cijele Republike Hrvatske. Izrađujemo projekt objekta, te uz priloženi goedetski snimak izrađujemo snimak izvedenog stanja - svu potrebnu dokumentaciju za legalizaciju bespravno izgrađenih, ili dograđenih objekata. Krajnji rok za legalizaciju bespravno sagrađenih objekata je 30.06.2013. tj. datum ulaska Hrvatske u EU. Iskoristite priliku prije tog vremena! 297/5000 Ultra-Ever Dry is a revolutionary nano coating that rejects all kinds of liquids and oils. Protects all surfaces from water, moisture, ice, corrosion, mud. It proved to be excellent in the protection of internal and external walls, basement and swimming pools of water and moisture. 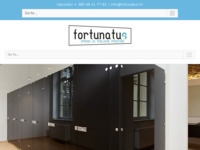 Craft business for tapistery, refurnishing, screen blinds, hete you can find everything you need to refurnish your apartmant, house or furniture. Underwater works. 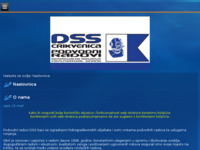 Certificated for Approval of the Service Supplier. In-water-Surveys of Ships and Mobile and Fixed Offshore Units. Cleaning of hulls, rudder blades, propellers and sea water inlets. 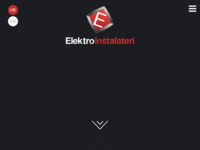 During the last ten years the company Elektroplan d.o.o., with its knowledge, experience and professional approach, is becoming a leading company in the field of electrical design. The company wants to be recognized for the quality of its services, the relationship with its partners, innovation, technical expertise and caring for people. Bavimo se proizvodnjom, montažom i prodajom dimovodnih elemenata napravljenih od inox lima. 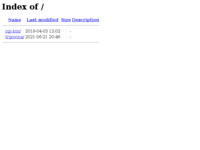 Uređujete fasadu? 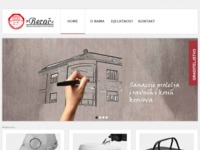 Novogradnja ili rekonstrukcija? 20 godina iskustva u proizvodnji štukatura garancija je kvalitete naših proizvoda i usluga. 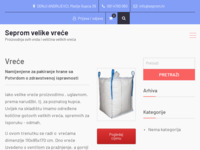 Štukature izrađujemo od: -Ekspandirani polistiren EPS 30 kg/m3. -Staklena mrežica za armiranje fasadnih termo sistema. -Specijalan materijal za izradu završnog sloja u debljini 3-4 mm, otporan na sve vrste vremenskih utjecaja (vlaga, kiša, snijeg, led, sunčeva toplina..) te ima veliku čvrstoću i tvrdoću a istovremeno i potrebnu elastičnost. Graditelj svratsita - Poduzece za graditeljstvo, proizvodnju i usluge. 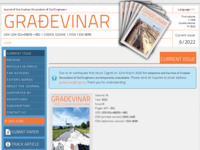 Poduzeće Graditelj svratišta je građevinska tvrtka za područje, niskogradnje, visokogradnje i završnih radova u graditeljstvu, proizvodnju aluminijske stolarije, trgovine i inženjering usluge. 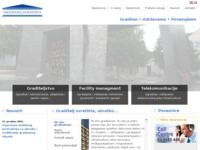 Building industry and trade company Osijek. M.F. 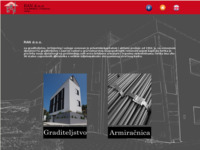 Građevinar ltd. - for construction engineering and trading. Energy efficiency. HVAC, electrical and BMS installations for industry nad business buildings. 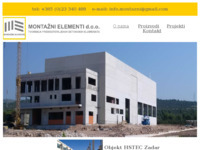 Flemont / Flegar montaža d.o.o. Plastering and cement screed MD&V d.o.o. Službene stranice bravarije Španić. 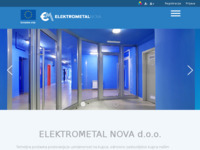 Izrada metalnih konstrukcija, izrada inox ograda. 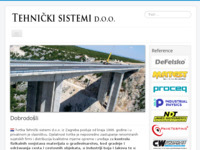 Holcim (Hrvatska) d.o.o. 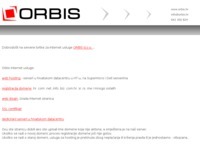 and Holcim mineralni agregati d.o.o. 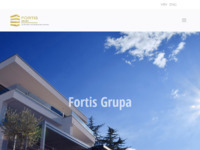 are part of the Holcim Group, one of the world's leading suppliers of cement and aggregates (crushed stone, sand and gravel) as well as further activities such as ready-mix concrete and services. The Group holds majority and minority interests in more than 70 countries on all continents, and employs some 90,000 people. 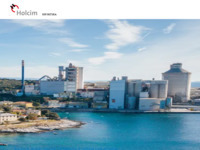 In Croatia Holcim has one cement plant, two cement terminals, six ready-mix concrete plants and one aggregate quarry, and employs about 350 people. 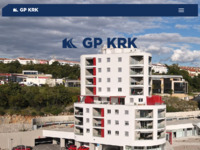 We are a family-owned company which has been dealing for years with construction and selling of flats and family houses in and around the areas of Porec and Novigrad. 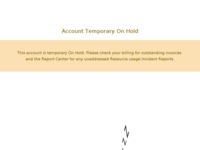 Our long experience and high quality earned us trust of our numerous clients. 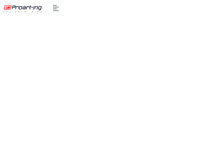 Bmt d.o.o.- for construction engineering, inner and outer trading. Osnovna djelatnost poduzeća Stabilo je proizvodnja vrhunskih kuća u Hrvatskoj i europskim zemljama. Naša vizija i misija je neprestani razvoj, praćenje suvremenih tehnologija te njihova brza primjena za naše cijenjene kupce. 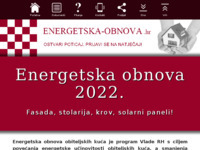 Pri tome želimo dati svoj doprinos zaštiti okoliša, zdravom življenju i smanjenju potrošnje energije. 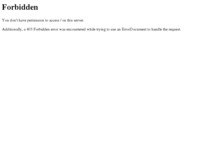 Hedom - restoration, renovation and cultural heritage protection. 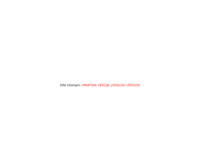 Company Miljan d.o.o. 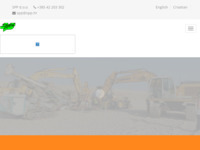 is providing construction services. Civil engineering company Husnjak has family tradition over four decades. 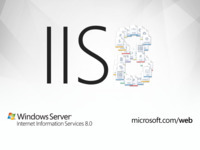 It is founded in 1963. as one of first private companies in this country. 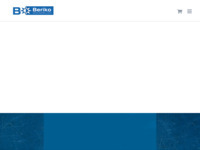 2002. year we are expanding our field of work and are becoming dealers and distributors of machines and equipment of famous companies as: Penta - Moter, C.L.M., Remorques Gourdon i Toptec - Spezialmaschinen. 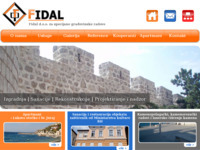 Real-estate sales, private accomodation and boat charter in Dalmatia (Croatia). Prodajemo u maloprodaji i veleprodaji boje i lakove, gips ploče, suhe žbuke, građevinski pribor. Također nudimo široki asortiman vijčane robe, te materijala za sanaciju, kao i sve vrste građevinskih ljepila. Prvi u Hrvatskoj proizvođači drvenih terasa za mobilne kučice u kampovima. 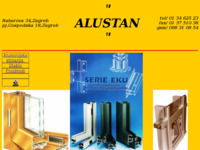 Joint-stock engineering, production, construction and installation company. Prodaja, iznamljivanje i proizvodnja skladišnih i sajamskih hala, šatora i kamionskih cerada. 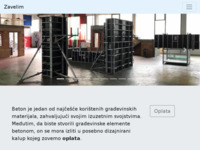 Inženjering i izvođenje instalacija u graditeljstvu. Construction company with more than 15 years of experience in construction, reconstruction and mainteinance of small and medium size objects, final construction works and installation projects. We also offer services of transport. 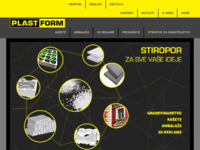 Firm from Šibenik, for constructing and services. Constructing residential and commercial building for sale. Architecture, constructing, infrastucture. 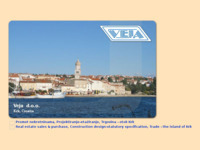 Selling real estate in Istria. We manufacture, sell and install panel fencing, wire nettings and posts, wire mesh and other types of fences and wire products. 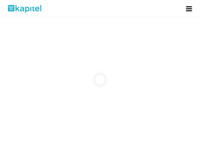 Crotal is company for building and sale of business, turistic and residential properties. 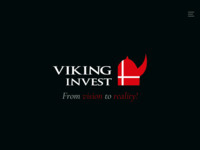 The strategy of our business is quality, innovation and proffesional approch. 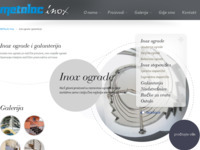 Izrada inox ograda za različite prostore, inox vanjske ograde. Opemanje interijera različitim proizvodima od inoxa. 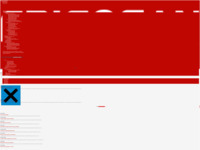 Tvrtka “M COM” usluge d.o.o. 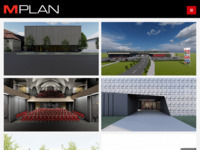 za građenje, projektiranje, nadzor, usluge, uvoz-izvoz. Zavod za urbanizam i izgradnju d.d. 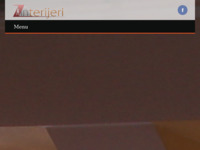 Osijek, official homepage. 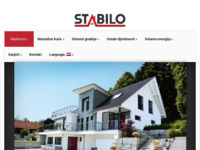 StambenoPitanje.com is an independent portal that monitors regional news and events in housing-social issues in the Republic of Croatia. The portal serves customers for information on housing loans, construction, renovation and real estate purchases as well as interior design. 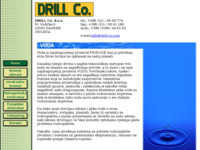 DRILL Co.- Bušenje zdenaca (bušenje bunara), istraživačko bušenje i hidrogeološki istraživački radovi.  We are a company dealing with building construction and civil engineering, and with the wholesale and retail sale of construction and plumbing material. 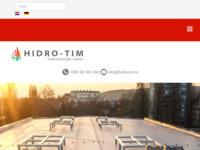 We sell only attested and high quality goods, and represent renown manufacturers of building material such as "Velux", "Tondach", "Bramac", "Schiedel". 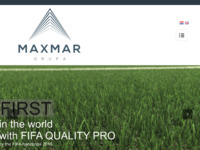 As a result, during all these years we have acquired a great deal of experience and have gained the trust of our investors. Tvrtka Šandrk d.o.o. 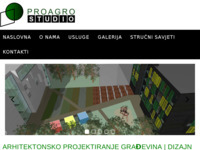 društvo je sa ograničenom odgovornošću koje se bavi poslovima konzaltinga, projektiranja, graditeljstva i nadzora. 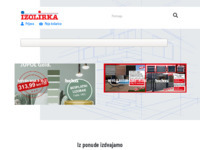 Construction and sale in Zagreb, Opatija and Lovran. 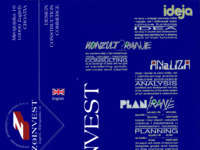 Zoinvest Engineering founded in 1978, Zagreb, Croatia - planning, projecting, construction and trade. Zoinvest je tvrtka registrirana 1978. za projektiranje, građenje i trgovinu. 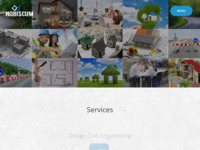 Engineering, project development and special architecture works. Company from Promajna near Makarska. 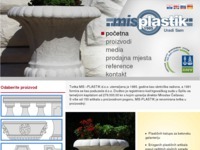 Manufacturer of plastic mold for selfmade decorative concrete elements. 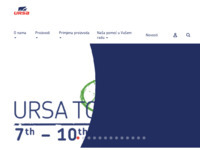 Tvrtka Fortunatus d.o.o. 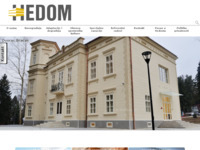 kao ekskluzivni zastupnik i projektni biro tvornice LaFortezza za Hrvatsku, BiH i Sloveniju, stoji Vam na raspolaganju za izradu projekta, ponude, izvršenja montaže i svih eventualnih dodatnih informacija. 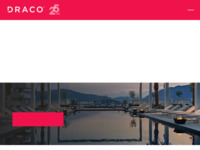 The company Inteco d.o.o. engages in special works in the construction industry, with a full range of engineering services. We design, organise and perform special works in Civil Engineering and Building , on facilities under construction or reconstruction. Our company is specialized in civil engineering and all work related to it: digging ditches, laying down telecommunication cables, making telecommunication sewers, laying down electrcity cables and low / high conductors, as well as reconstruction of low-voltage nets. 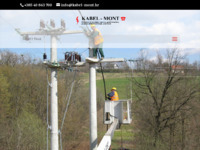 We are also equipped for aspiration and combining of all conductors and cables. 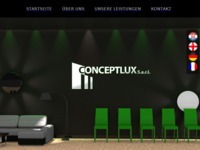 Company is specialized in decorating and projecting interier.  It is affirmative in interier design of bussiness and touristic objects. Geomechanical drilling, blasting and geotechnical monitoring. 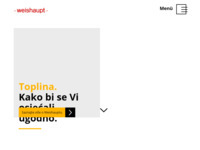 Adaptacija stambenih i poslovnih prostora, adaptacije stanova adaptacija kuće. Naš iskusni tim nastoji Vam pomoći da uredite svoj dom ili poslovni prostor na način koji će zadovoljiti Vaše financijske potrebe i stil života. 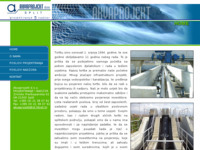 Building and maintenance of objects and water resources on rivers Drava and Dunav. 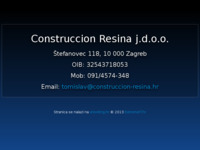 His Visnjica consulting construction design and remediation of Landfills. Degassing and leachate waste water treatment, instalation of PEHD liner geomembranes. građenje i nadzor, rekonstrukcije, sanacije, građevinsko-obrtnički i instalaterski radovi. Geotechnical engineering and environmental impact assessment (EIA). 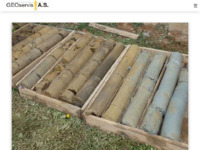 Geotechnical scope of works include: subsurface investigation, drilling, core sampling, IN-SITU geotechnical investigations, SPT (standard penetration test), and laboratory testing of the core samples. Franto company have possession of quarries for rubble and concrete production plants. All construction work about civil engineering we do self-employment. 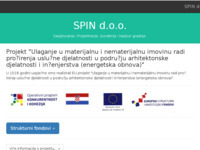 Dip građenje d.o.o. 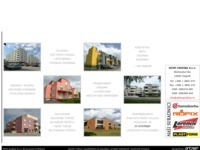 is company specialised for real estate building, marketing sales. Prepoznatljivi smo po kvalitetnoj izvedbi povjerenih poslova, a najbolji pokazatelj toga je naša lista referenci koja sadrži više od 50 objekata širom Hrvatske. 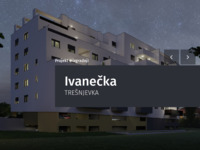 Prvi smo u Hrvatskoj sa javnim poduzećima u gradu Zagrebu napravili projekt reciklažnih dvorišta za zbrinjavanje i reciklažu otpada koja su i danas u funkciji. 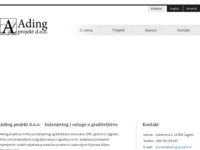 Surađujemo s vodećim hrvatskim građevinskim firmama i projektnim uredima. Special cutting and drilling of concrete walls without noise and vibration. 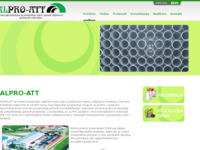 Products of expanded vulcanic sand (perlite) for use in construction as termal and sound insulation, lightweight insulating concrete, lightweight plaster aggregate etc., in horticulture as propagation media for rooting cuttings planting media, turf improvement, seedling mixes, hydroponic growing, as a lightweight planting media for outdoor and indoor gardening etc. and a baked clay products (brick netting used as a mortar carrier). 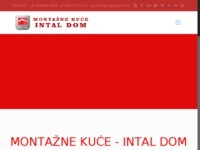 Montazne kuce Ivanjica - Gradimo montazne kuce onako kako vi to zelite. 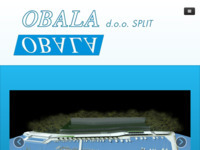 Firma koja se bavi izgradnjom, opremanjem i održavanjem sportskih objekata i terena. heat pumps, exploration drilling, geomehanic, anchoring, draining, pilots, wells. Consolidation of historical buildings, reinforced concrete with carbon fibers tape, injections of walls with calx romana, stone walls protection and protection from humidity. 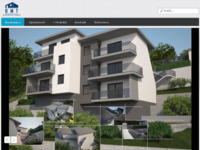 We build and sell real estate, apartments, huses and luxury villas on the Croatian sea side. Construction of gas pipelines, cleaning of rubbish, snow cleaning, construction of parking lots and roads. 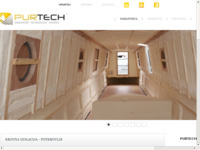 We offer: parqueting, segregation, installing floor dressing, installing and scows renting. Mi smo specijalizirana tvrtka s dugogodišnjim iskustvom, kvalitetnom opremom i djelatnicima koji su uvijek spremni za nove radne izazove i visine. Djelujemo kao tim koji je mobilan i aktivan 24 sata, 7 dana u tjednu. Uvijek smo na usluzi našim strankama. Kontaktirajte nas, zatražite ponudu i mišljenje za zahtjevne radove na visinama. Ne izlažite se riziku! Zaboravite skele ili ljestve! Mi smo povoljniji, brži i sigurniji. Posjedujemo sve ateste zaštite na radu djelatnika i sigurnosti strojeva. Protection from waters.Working with isolation materials in house. 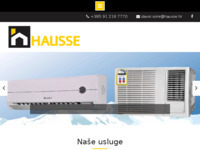 We sell and install heating systems, sell construction materials, and more. 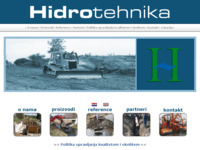 Handling water resources - Hidrotehnika d.o.o. Pomorska gradnja (marine, pristaništa, obale, vodoopskrbni sustavi, itd..), visokogradnja (zgrade, hale, obiteljske kuće, itd...), mostogradnja. 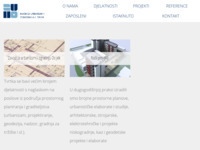 Projektiranje i nadzor pomoskih objekata. 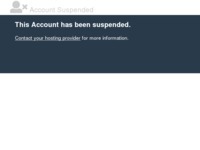 Aqt d.o.o. 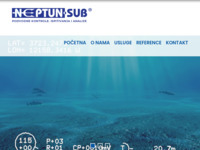 is general distributor for Croatia products of firm Aquatherm GmbH. 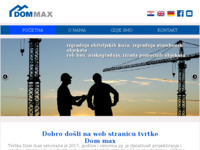 DOM MAX is a company whose main activity is the construction of residential building, non-residential buildings and business buildings. We build family houses from the plan up to the finishing touches by the turnkey projects. We also carry out all craft services, adaptations and repairs to residential and commercial buildings. 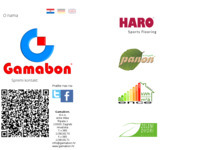 Our motto is quality design and customer satisfaction. 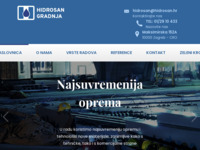 Croatian mining and construction company dedicated to providing specialized engineering services for mining works, quarry operations, roads and tunnels construction, hydropower tunnels construction. Our main services are drilling and blasting, tunneling, consolidation works, projecting. Work at height operations,work at height basic courses, work at height specialist training, IRATA specialist training, work at height studies and consultancy, work at height equipment supply, work at height fixed systems design and installation, rescue service on construction sites. Asphalt technology research and consuling. 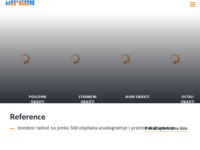 HD-gradnja se bavi prodajom građevinskoh proizvoda vezanih uz podove. 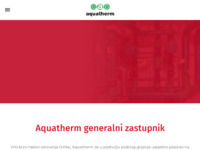 Generalni je zastupnik THERMOTEC proizvoda za Hrvatsku. U svojoj ponudi ima i građevinsku kemiju prvenstveno za brzo sušenje estriha,mikro armature za estrih i beton kao i rubne trake i spužvice. 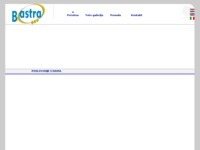 Stiroporgranulat. Bastra d.o.o. je prisutna je više godina kao tvrtka koja instalira visoko kvalitetnu opremu za prodajne i skladišne objekte poput trgovina, supermarketa, butika, mesnica ili rashladnih komora. Završni radovi u graditeljstvu a specijalizirali smo se za unutrašnje i vanjsko strojno žbukanje i izradu svih vrsta fasada. 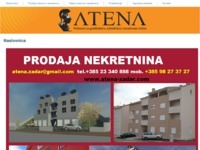 We are building real estate for sale in Dalmatia on Croatian Adriatic coast. 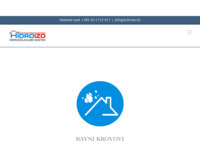 Zastupstvo renomiranih svjetskih proizvođača mjernih i kontrolnih uređaja, sredstava za zaštitu od korozije, a bavimo se i projektiranjem i nadzorom radova. 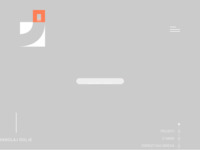 One place for services, architecture, construction, interior design , docorating, remodeling and gardening. 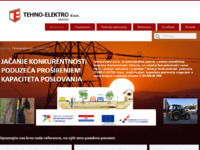 S velikom europskom tvrtkom URSA na području izolacijskih materijala sigurno imate pouzdanog i dinamičnog partnera. 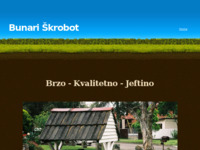 Naša bogata iskustva, stečena u različitim klimatskim područjima, sigurno će Vam koristiti. URSA izolacijski sistemi, svojim međusobno usklađenim materijalima, osiguravaju optimalnu izolaciju. Tijekom proizvodnog procesa, provođenjem strogih kontrola u skladu s ISO standardima, brinemo se o stabilnoj i vrhunskoj kvaliteti finalnih proizvoda. 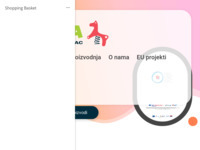 Nobiscum je tvrtka koja obuhvaća spektar djelatnosti podjeljene u dvije grupe, projektiranje i grafički dizajn. Ako vam treba pomoć oko organizacije tehničkog pregleda, legalizacije zgrade, izrade projekata ili vizualizacije Vašeg objekta nama se možete obratiti. U poslovnom svijetu gdje postoji mnoštvo sličnih tvrtki potrebno je nekako se istaknuti. Grafički dizajn je pravo sredstvo kako ćete se izboriti za svoje mjesto. 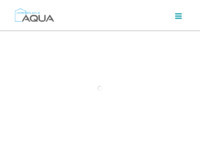 Water resource management and engineering software - marketing, development and support. 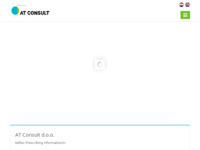 DD d.o.o., a company specialized for building surveying, assessment of property, supervision and running of a building site, division of property and other legal issues relating to building. 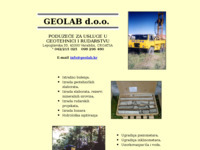 Main activities of Geoplan Ltd. from Slavonski Brod are selling geodetic instruments and accesorize, business and geodetic architecture. Izrada fasada svih vrsta, kao i adaptacije kuća,stanova,poslovnih prostora izvodim po sistemu ključ u ruke. 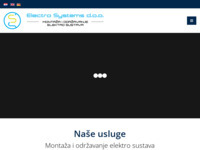 Tvrtka za izradu elektroinstalacija, parlafonskih sistema, gromobrana, kompjutorskih mreža kao i ovlašteni predstavnici za Glamox strujne radijatore i Elektra podno grijanje. Rosing d.o.o. 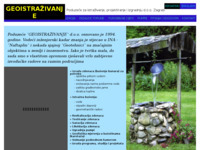 osnovan je 1994. godine i koncipiran kao tvrtka koja svojim klijentima pruža kompletnu uslugu - od izrade projekta, isporuke materijala i opreme do montaže na gradilištu, a svoju je djelatnost specijalizirala na prehrambenu industriju i industriju pića. 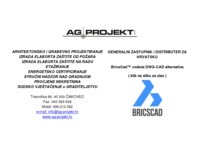 Construction engineering and services, Labin. Sudski vještak iz Rijeke. Etažiranje, građevinske procjene, vještačenja. Ako tražite izvođača radova za graditeljstvo, nisko / visoko gradnju te popločavanje betonskim kockama koje možete vidjeti u našoj ponudi svakako posjetite naše stranice. Ako ste zaintersirani za bilo koji dio naše ponude svakako nas kontaktirajte, a mi ćemo u što kraćem roku odgovoriti. Klima uređaji od vodećih svjetskih kompanija. Montaža i servis klima uređaja. We are dealing with hydraulic and underwater works. Poduzeće je osnovano 1994 god. 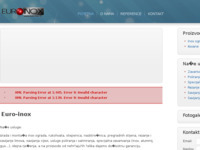 i od samog početak se bavi problematikom podzemnih voda i odvodnje vode u toku građenja. 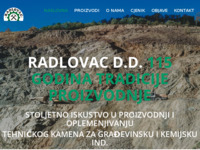 Za obavljanje potrebnih radova koristimo opremu renomiranog talijanskog proizvođača Mill.Ar Wellpoint čiji smo zastupnici za RH. 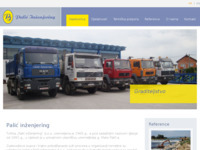 Nasi strucni i osposobljeni inzenjeri gradevine, prometa, i grafike, mobilna logistika, mehanizacija i strojevi, jamce trazenu kvalitetu i rokove izvodenja radova. Tvrtka Intelgrad d.o.o. 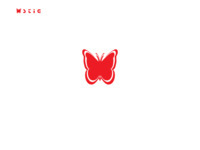 osnovana je 2006 godine, sa sjedištem u Zagrebu. 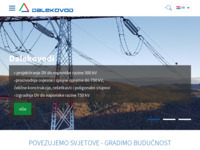 Osnovna djelatnost je investiranje, građenje i prodaja vlastitih nekretnina i trgovina strojarske opreme za instalacije Također vršimo i izvođenje strojarskih instalacija i opremanje kotlovnica po principu ključ u ruke. Majstor Zlajo, obrt za završne radove u građevinarstvu. Kućni popravic i zanatski radovi. Proizvodnja samouklapajućih limova, crijep ploča, trapeznih limova svih veličina, tipskih kontejnera te ostale građevinske limarije. 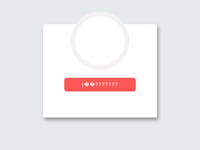 Proizvodnja na automatskim proizvodnim linijama. 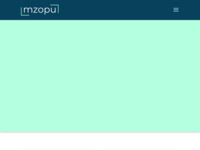 Jamčimo kvalitetu i brzu isporuku. Nudimo usluge izvođenja limarskih radova, sječenja, savijanja te plastificiranja lima. Reconstruction and sanation of culture or history protected buildings and monuments. 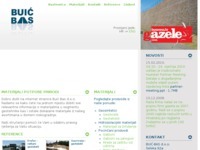 Civil engeneering company, geosyntetics and other materials. Komora je samostalna strukovna organizacija koja čuva ugled, čast i prava ovlaštenih inženjera građevinarstva, promiče, zastupa i usklađuje njihove zajedničke interese pred državnim i drugim tijelima u zemlji i inozemstvu te skrbi da ovlašteni inženjeri građevinarstva savjesno i u skladu sa zakonom i javnim interesom obavljaju svoje poslove i pritom štite i unaprjeđuju hrvatsku graditeljsku baštinu. 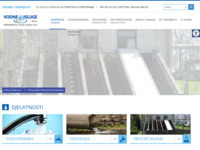 Aqua hidroizolacije Zadar je specijalizirana firma za sustave hidroizolacija i sanacije. Mi znamo što je hidroizolacija. Burić d.o.o. 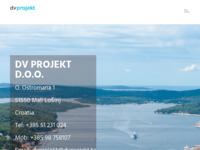 - Informatičko projektantski inženjering - Pula/Istra - od 1990. projektni biro bavi se projektiranjem i stručnim nadzorom u visokogradnji i niskogradnji sa timom ovlaštenih inženjera građevinarstva. Najam d.o.o. 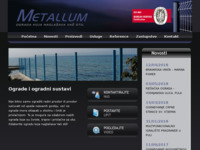 are building real estate for sale on Croatian Adriatic coast. 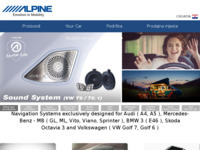 Our manager Trifun Poljak has experience for over 30 years in Switzerland. 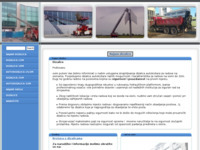 We offer renting of our equipment for construction industry. 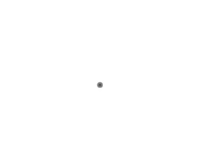 Bušenje bunara, geomehanika, geotermalna grijanja. Izrada građevinske stolarije od metala i proizvoda od metala.